Sorry I haven’t posted in a few weeks… things have been kinda coconutty. 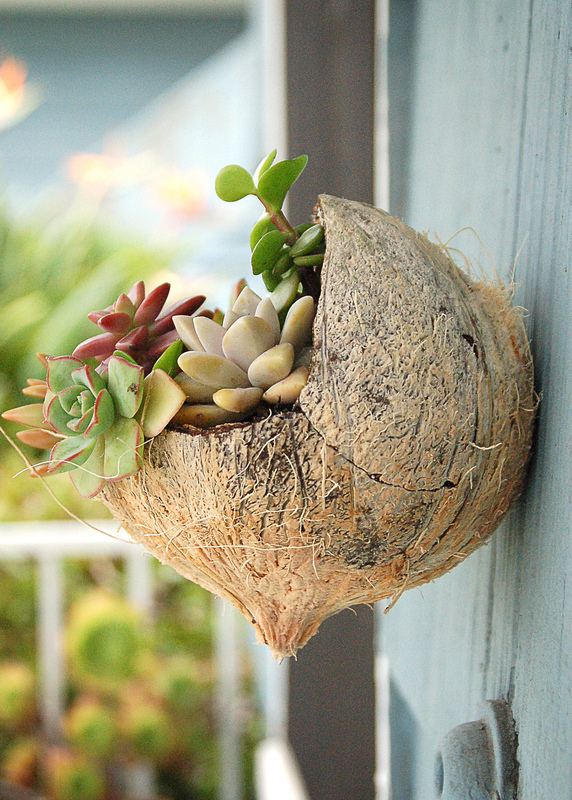 Here’s another idea for a hanging planter made out of a leftover coconut. This time, we’re mounting it directly to the wall. 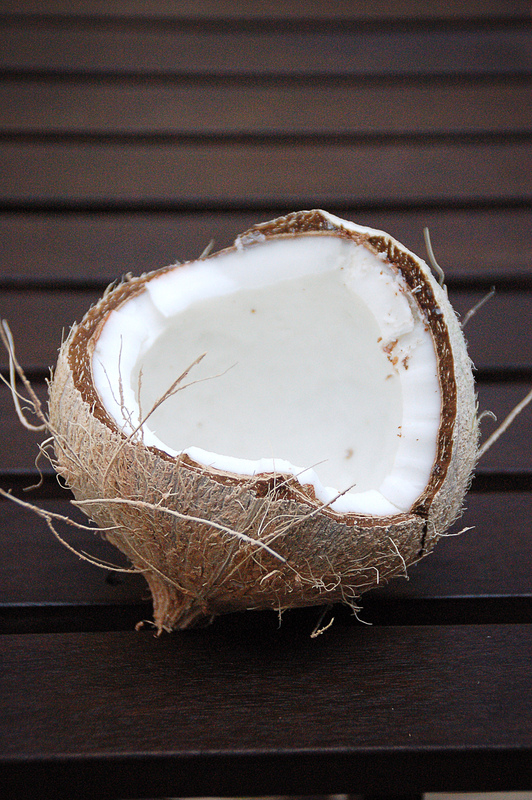 Start with your coconut. I imagine this could be pulled off in a variety of ways depending on how the coconut breaks. To get it open I usually put it inside of an old plastic grocery bag and then inside of a towel or cloth grocery bag. When you take the hammer to the coconut, this will help to prevent the shards from flying everywhere. After you’ve got all the meat out of the nut, drill a hole in the back for hanging. 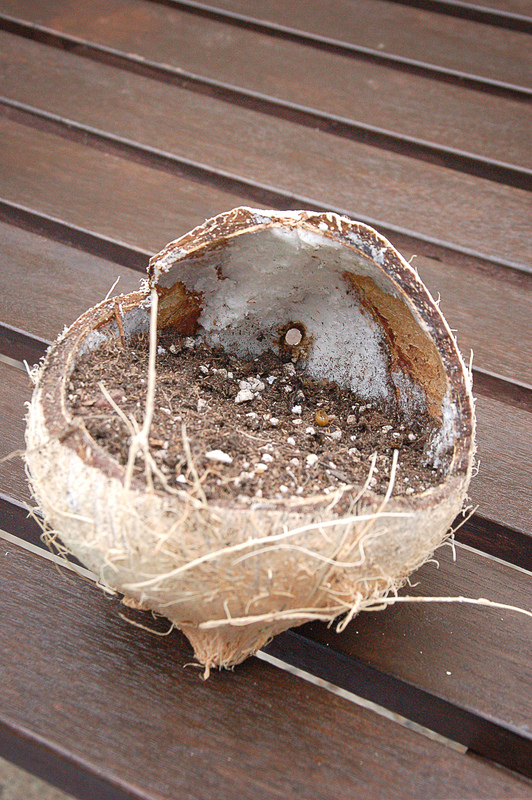 Now fill the coconut with a little potting soil. 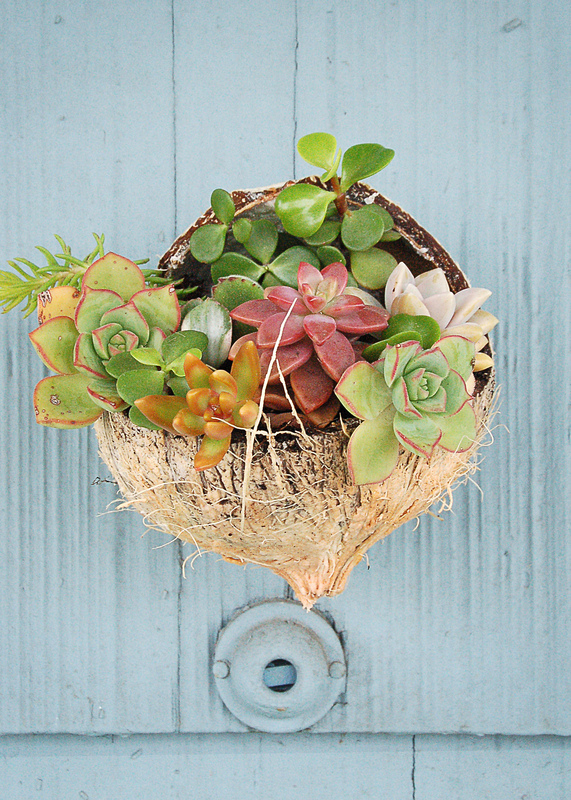 Be sure to leave a room before the edge to allow your water to soak into the soil. At this point, I think its a good idea to saturate the soil. This will prevent you from having to water for a few days, which is always a bonus and will help your cutting root faster. Now choose your cuttings and insert them into the soil. To hang it I just used a small nail with a head to prevent the coconut from sliding off of it. That’s pretty much it! Check out the final product. As always, if you have any questions on how I did this or need advice on making your own, just holler! Thanks for reading and remember, today’s ideas become tomorrow realities.